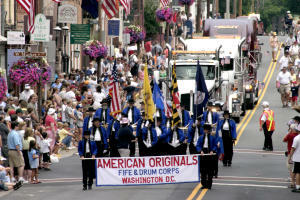 Enjoy the fun and exciting hometown parade in Leesburg&apos;s Historic District. 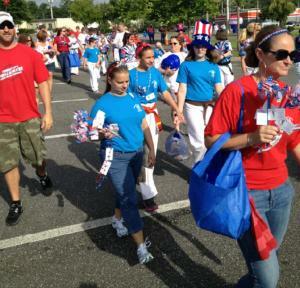 The parade strolls down the streets of Leesburg from Ida Lee to King Street. Grab dinner at one of Leesburg&apos;s great restaurants like King Street Oyster Bar or The Wine Kitchen and more before heading to the Celebration in the Park at Ida Lee. This celebration includes live music and entertainment for the whole family before wrapping up with a fireworks display that would make America proud. 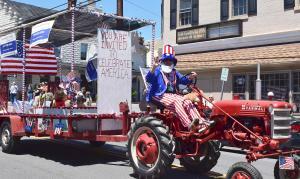 Break out your patriotic best and kick off Independence Day in Purcellville with their annual parade as favorite floats, Uncle Sam and more stroll through the town. Following the fun, head over to Franklin Park for the celebration of the holiday. Boogey and groove to the sounds of Peter McCroy, The Red, White and Blue bands and more before settling in for a fireworks show accompanied by the Loudoun Symphonic Winds. The whole town of Middleburg is coming together to celebrate Independence Day this year. Start with a dip in the pool at Middleburg Community Center to cool off from the Summer day. Dry off, put on your red, white and blue and head to Salamander Resort & Spa&apos;s BBQ Buffet before enjoying the parade as it winds through the town. Dance and sing along with live music at the Bluemont Concert Series performance by the fiddling melodies of the Furnace Mountain Trio. Finally, sit back, relax and take in the fireworks display! Loudoun&apos;s towns have so much to offer this 4th of July. We hope that you enjoy Independence Day in Loudoun this year. Share your hometown experiences with us by using #LoveLoudoun and check out our events calendar for more happening over the holiday weekend.